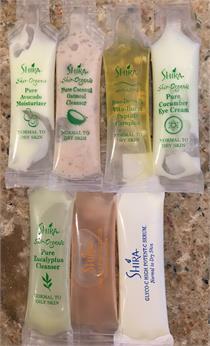 Rich, moisturizing, protective eye treatment. Nourishes, softens and strengthens skin, and helps reduce undereye darkness. Helps protect the fragile eye area against free radical damage. Softens and improves skin texture and helps bind moisture to cells. This rich cream provides moisture to the delicate tissue surrounding the eye area, reducing the appearance of fine lines and wrinkles by replenishing levels of Hyaluronic Acid that have been lost due to progressive aging. Reduces appearance of puffy eye bags within a few minutes. Contains the award-winning ingredient Eyeseryl, a tetrapeptide with anti-edema properties. Reduces eye bag volume noticeably (cumulatively)within 6-8 weeks.